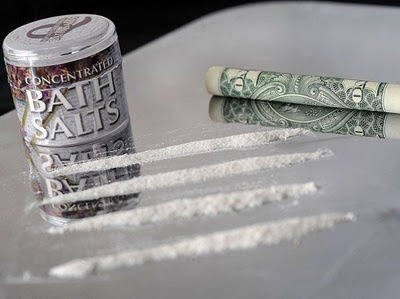 “Bath salts” come under federal scrutiny. A growing list of states, now including Michigan, Hawaii, Louisiana, Kentucky, North Dakota, and, recently, Florida, have introduced measures to ban the designer drugs, currently being sold under names like “Ivory Wave” or “Purple Wave.” The United Kingdom has already put mephedrone and related drugs under a blanket ban. The drugs are considered addictive, primarily because they are chemically similar to amphetamine and ephedrine. But users often refer to effects more commonly associated with Ecstasy (MDMA), both the good (euphoria, empathy, talkativeness) and the bad (blood pressure spikes, delusions, drastic changes in body temperature). “I am deeply concerned about the distribution, sale, and use of synthetic stimulants—especially those that are marketed as legal substances,” Kerlikowske said. “I ask that parents and other adult influences act immediately to discuss with young people the severe harm that can be caused” by such drugs. Kerlikowske, who will convene a panel of experts on the subject, said he was acting in response to recent data from the American Association of Poison Control Centers, which showed that poison control units have received 251 calls related to “bath salts” so far this year, compared to a total of 236 calls in all of calendar year 2010. An earlier post of mine on mephedrone can be found HERE. Some of the best coverage has come from the anonymous NIH researcher who blogs on science topics as DrugMonkey. See also coverage of alleged mephedrone deaths by David Kroll HERE. The government agencies and authorities seem as delusional and willing to indulge their instinctive impulses as ever. All bans will do is create MORE black market opportunities and additional harms, beyond those of the abusive usage itself. They operate under the 19th century fallacy that prohibition is an effective policy. That sets a goal based on zero tolerance. That goal has never come close to ever having been met with any substance. It does succeed in providing incentives to criminals. Using perfection as a policy guide with this should have long ago been discarded as unattainable and foolish. All that is possible is wise, deft management. Maximum reduction of harm is not only about reducing the worst harms of abusive use but also about preventing unintended tangential harms. The harms of black markets and the harms to the lives of users due to contact with the criminal justice system.